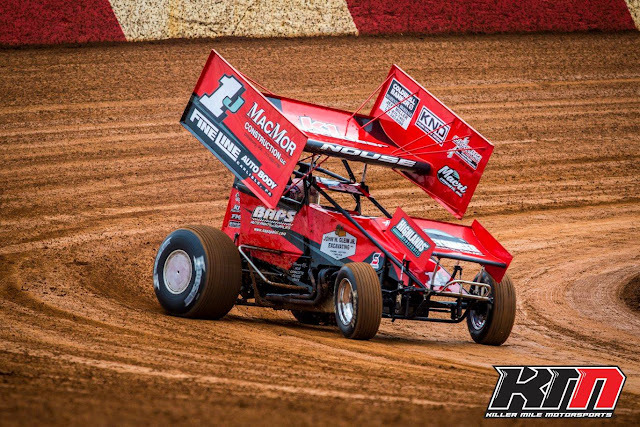 ABBOTTSTOWN, PA 3/25/2017 – Danny Dietrich held off Jim Siegel and Lucas Wolfe to score his second win in two Lincoln races in Saturday’s 25-lap “410” sprint car feature. It was a classic final turn slidefest that saw Siegel reclaim the lead momentarily exiting turn four as his slid in front of Dietrich. But “Double D” drove to the bottom exiting turn four and outraced Siegel to the checkered flag. Siegel grabbed the lead from invading polesitter Coleman Gulick of Binghamton, New York at the outset and led the first 11 laps until a caution came out for Shane Hoff, who came to stop in turn four while running fourth. On the subsequent restart, fifth-starting Dietrich passed Gulick for second on the back stretch and tracked down Siegel over the next ten laps, passed the Mason-Dixon Vault Company #59 in lapped traffic of lap 22. Siegel never went away, and took a last-turn shot for the win, coming up just short. Quietly, Lucas Wolfe entered the picture with just a few laps to go, and crossed a close third. Crossing fourth and fifth were Gulick and the winner’s brother Billy. Sixth through tenth were defending track champ Alan Krimes, Kyle Moody, 18th-starting Cory Haas, 17th-starting Chase Dietz, and Brian Montieth, who sustained front wing damage in a early-race incident involving invader Billy Bulog. Heats for the 34 410 Sprints were won by Danny Dietrich, Siegel, Wolfe, and Freddie Rahmer, with Chad Trout winning the consolation. Mechanicsburg’s Kevin Nouse scored the win in the season opener for “358” sprint cars. He started eighth and took the lead from Doug Hammaker in lapped traffic on lap 13 of 20. He held on for the 1.06-second win, the eighth of his career in the Pigeon Hills. Hammaker, who took the lead from polesitter Todd Rittenhouse, Jr. on lap seven, led the next six laps before Nouse took the lead for good. Hammaker settled for second, with Rittenhouse third, Adrian Shaffer fourth, and defending champ Chandler Leiby fifth. Sixth through tenth were Kyle Denmyer, Matt Findley, Todd Gracey, Ashley Cappetta, and Wyatt Hinkle. Heats for the 25 358 Sprints were won by Hammaker, Brent Shearer, and Phil Walter. 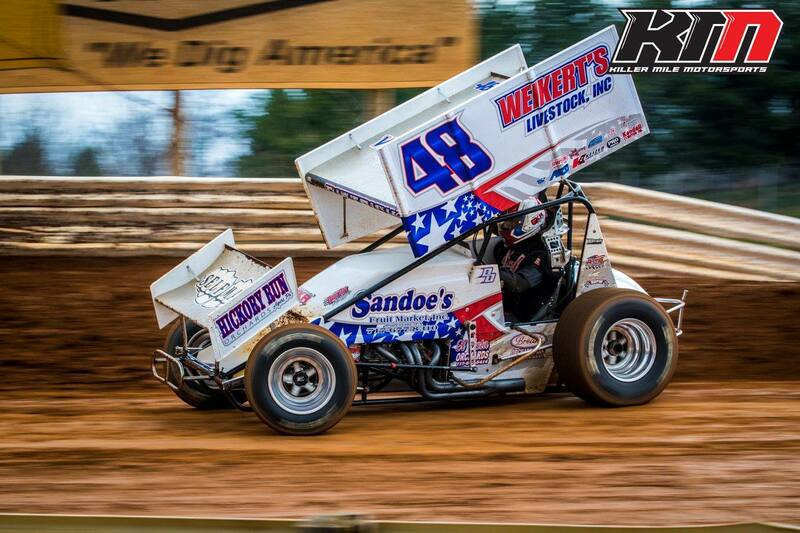 Next Saturday, April 1st, Lincoln Speedway moves to 6 PM starts and will run off its’ first 3-division racing program of 2017 with the 410 Sprint and 358 Sprints being joined by the All-American Outlaws. Gates open at 4 PM, with hot laps getting underway at 5:30 PM.